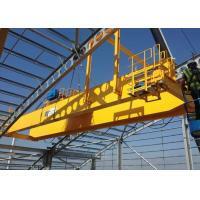 It is composed with girder frame, crane travel device, and the trolley with lifting and moving device. There is pave the rail for the trolley moves on the main girder. 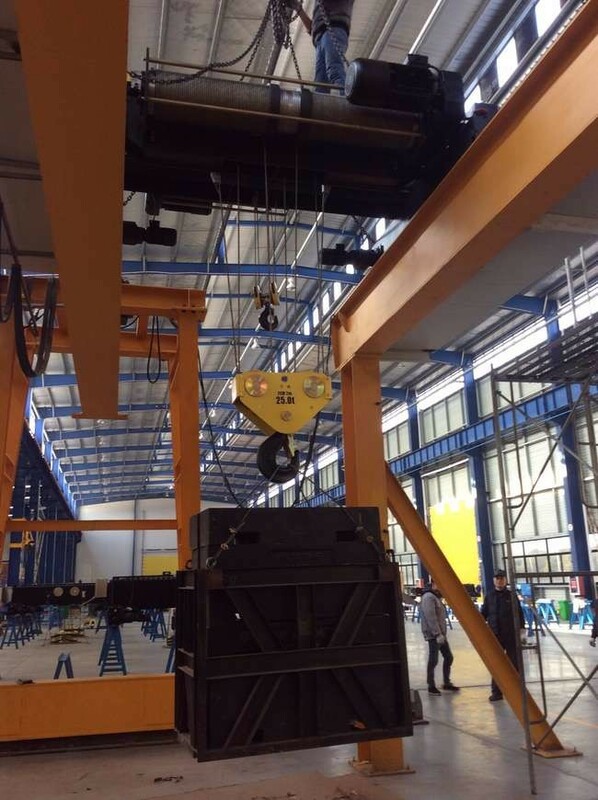 Assemble the moving table on the outside of the two main girder, one side is prepare for assemble and maintenance the crane move device,another side is prepare for assemble of the trolley conductor device. There are full field of view cabin suspend under the main girder, there are joint control desk or single control box packed within the cabin, assemble the sidelong ladder between the cabin and moving table. The main girder joint with the two side end carriage which with the joint point in the middle. 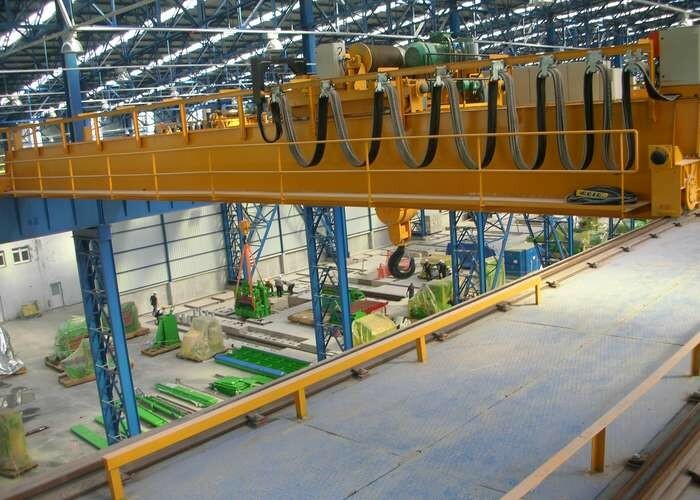 This model crane mainly consists of bridge, end girder travelling mechanism, Winch trolley and electrical appliances. Incase of trolley or Crane crash to the end of track.